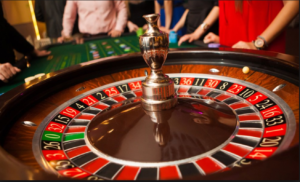 There are many systems that make the claim that you can beat roulette and of them all, the Martingale betting system is perhaps the most well-known. In many ways, this system is also the simplest, with an extremely straightforward staking plan. 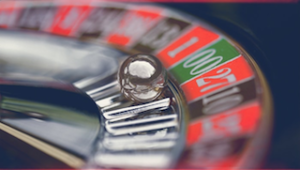 Find out: Is there an ideal roulette betting strategy? Is the Martingale System the best? The System: How the system actually works when you’re at a roulette table, and the realities of the strategy. 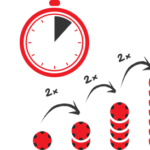 With the Martingale system, you have a simple aim: Double your initial stake. Here’s an example of how the strategy could go when betting in roulette. Take your pick: You’ll do this by placing the bet on either red or black at the roulette wheel. First spin: After the initial spin, if the ball lands in the color you have chosen, you have won and the system has been successful. If the ball lands in the wrong color or zero, you’ve obviously lost. Double up: At this point, you’ll double your bet. If you win: If the ball lands in the right color this time you’ll finish with a profit of one bet –having won 2 bets on that spin– but lost only one on the previous spin. If you lose: If you fail to win again, you’ll double your stake again and you will continue doubling your stake until you win. All-in-all: No matter how many spins it takes to wins –or the size of the stake– you’ll always win your original one bet. 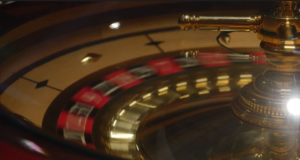 Is The Martingale The Best Roulette Betting System? In a perfect world, where you as the gambler have an unlimited amount of funds –and the casino itself will accept an unlimited bet size –the system will always work. Simply because, eventually, you will have a winning spin. However, this is not a perfect world. Imagine a scenario where your aim is to make a simple $5. Most of the time you will indeed hit the right color within a few spins. But, what happens if you fail five times in a row? Your second bet cost $10, your third $20, your fourth $40, and you’ve just lost $80 on the fifth spin. Have you got $160 to bet with? How about $320? Or even $640? After that, you’re looking at four-figure sums. What if you have got $1,280 to bet with but the casino won’t accept the bet? This is where the system becomes messy and you could find yourself in a big four figure hole for the sake of winning just five bucks. Martingale is a system that offers you a better than even chance of winning in the short term. Consider that you decide to try it just once and your aim is to win $10. You decide that you’re willing to go to a fifth spin, meaning that you’re happy to lay out a total of $310 ($10+$20+$40+$80+$160) to win that $10. Even if playing on an American wheel (where the odds are more in favor of the house due to the two zeros) you are going to win the $10 –a small fraction under 96% of the time– meaning you are around 25 times more likely to win $10 than you are to lose the $310. The obvious disadvantage of the Martingale system is that a bad run can easily wipe you out. So, however much money you have to gamble, you are putting it all on the line to win a very small prize in relation to the stake. Even looking at it mathematically, it tells a sorry tale. Just like the previous example shows a glaring hole in the math of the system. If you were indeed to run the previous experiment 25 times, the law of averages would state that you’d expect to win $10 on 24 of these occasions. But the other occasion, you would lose $310. Some mental arithmetic tells you immediately that you’ll end up $70 out of pocket. 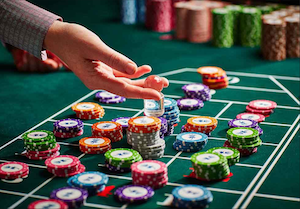 You’ll find many people trying to sell the Martingale system –go to a search engine and ask for a roulette system and you’ll find someone selling a “surefire” roulette betting system. 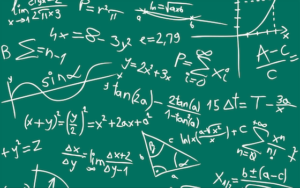 The majority of the time you’ll find that this surefire winning formula is based on the Martingale system. The people selling the system can also honestly claim that it will win 96% (or more depending on how many times you double up). What they won’t mention is how much you’ll lose on the rare occasion it goes wrong. Careful: People will try to sell the Martingale or a “double or nothing” betting system as a sure thing, but they won’t mention how much you can lose. Roulette has a house edge, and no matter how hard you try, this edge is not beatable. Systems like the Martingale system will give you wins in the short term, and some people might use this system for a long time without ever losing, but this doesn’t make it a winning system. It just means that fortune has shone on these people. Unfortunately, the amount of money lost using this system far outweighs all of these short-term wins.